My hair has been misbehaving. Winter has sent it into a dry, flyaway mess. We seem to be falling out on a regular basis. I know Aloe Vera is supposed to help, but I'm worried I just can't get enough of the stuff. Firstly, winter can be a tough time for hair. With the change in temperature and central heating playing havoc on your tresses it's not hard for splits to appear. Let me explain lovely readers, Aussie are at it again, helping us get the most from our hair, using some ingredients nature gave us. Keep an eye on the counter at the top of the blog, this is going to let you all know just how much use you can get from the bigger bottles. I'll be keeping a diary and letting you know on a regular basis how I get on, and if you follow me (or Aussie) on twitter you'll no doubt see styles created by me and the other gorgeous Angels if you search #Aussiemore. Have you tried the bigger bottles yet? 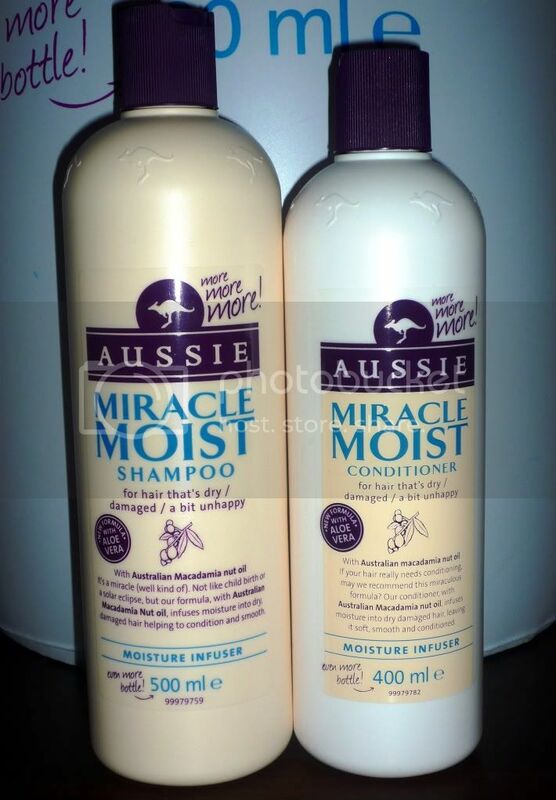 What's your favourite Aussie product?